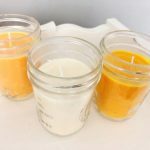 Looking for Mason jar lunches? Look no further than this Mason jar salad recipe for Mason jar taco salad! It’s easy, nutritious, and delicious. I don’t know about you, but I love Mason jar lunches, especially Mason jar salad ideas! They’re (usually) easy, can be made ahead of time, and look pretty darn appetizing. 🙂 Lucky for me, Mason jar lunches Pinterest pins are pretty popular, so I have plenty of drool worthy Mason jar salad recipes to choose from. 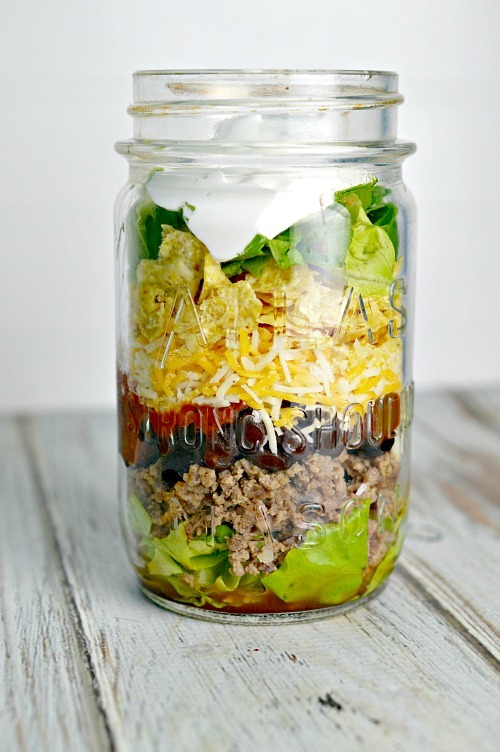 This taco salad Mason jar recipe is one of my all time favs! 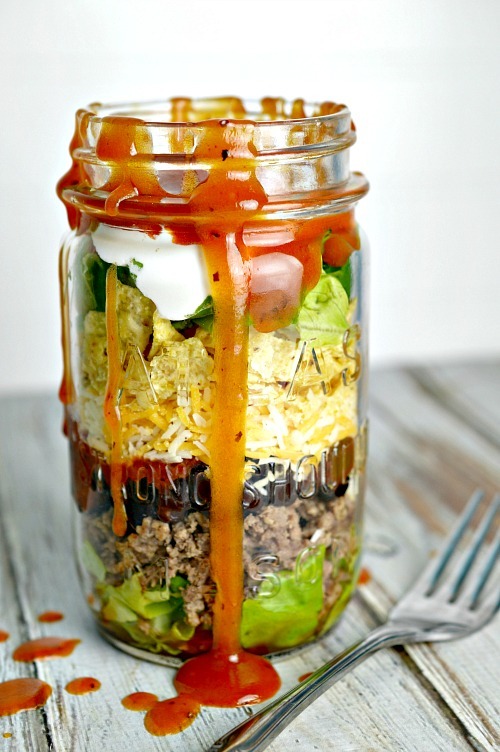 There’s a lot to like about this Mason jar taco salad. For one, it’s easy. The hardest part of making this Mason jar lunch is browning the ground beef, and really, how hard is that? Tip: You can brown the meat ahead of time and just pop it in the fridge till you need it. Another option would be to save the leftover meat from Taco Tuesday dinner with the family and whip up this Mason jar salad idea. Most Mason jar lunches, including this Mason jar salad recipe, will keep in the fridge for several days if sealed. That means you could make up a few of these taco salad Mason jars on Sunday night, stick them in the fridge, and grab them as needed during the week! In addition to being easy, I love this Mason jar salad recipe because it is so customizable. Seriously, the combinations you can make for your Mason jar taco salad are just about endless. For example, to keep your Mason jar lunches healthier, you could use ground chicken or turkey instead of ground beef. You could also mix this Mason jar salad recipe up by adding diced tomatoes, onions and peppers (sautéed or raw), spicy salsa or jalapeños, and on and on. *These ingredients make one Mason jar salad. Scale the ingredients up to make even more Mason jar lunches. 1. 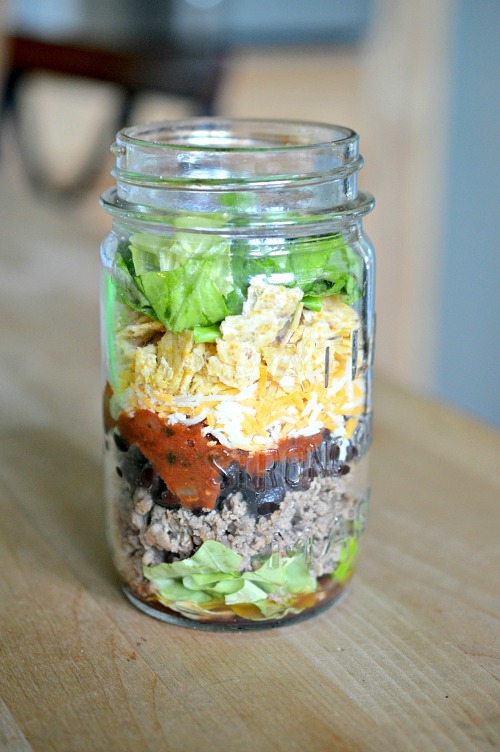 Layer the lettuce, hamburger, beans, salsa, cheese, and tortilla chips in your pint jar. Tip: Set aside a little bit of the lettuce to add to the top of the jar. It’ll help keep the sour cream from making the chips soggy! 2. Add the rest of the lettuce to the top. 3. Top with sour cream. 4. 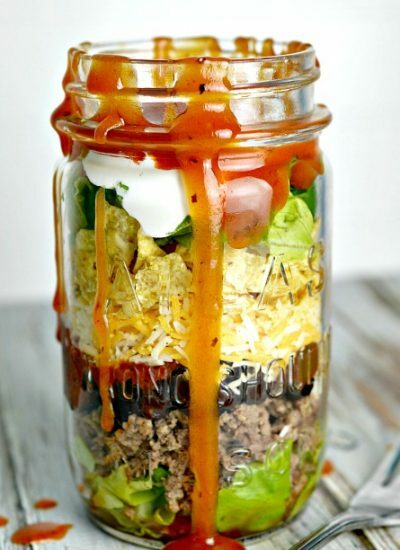 Before serving your Mason jar taco salad, pour French dressing over the salad and mix it up gently with a fork. 5. 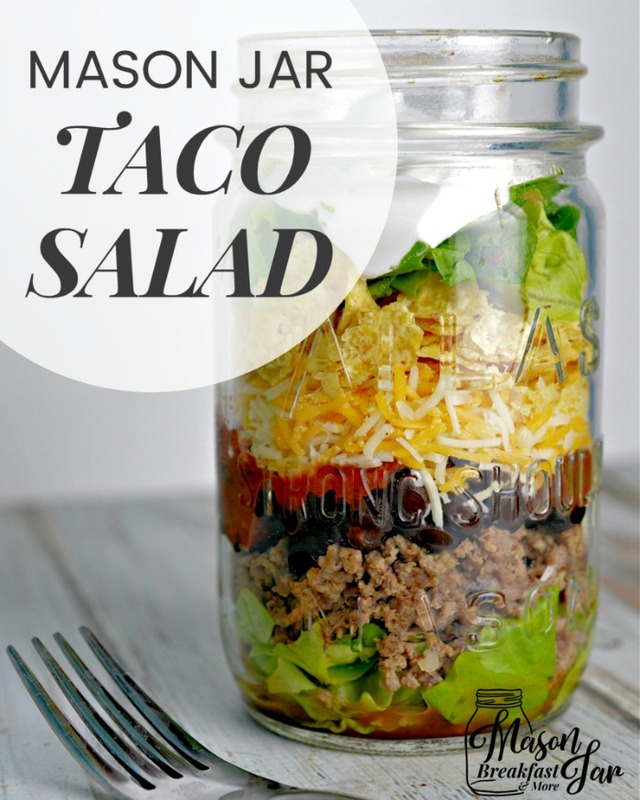 Enjoy your taco salad Mason jar creation! Craving more Mason jar lunches? 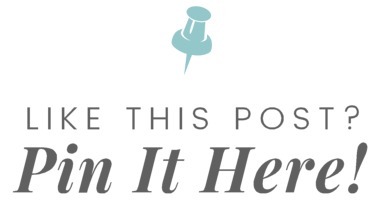 Pinterest is about to be your BFF! 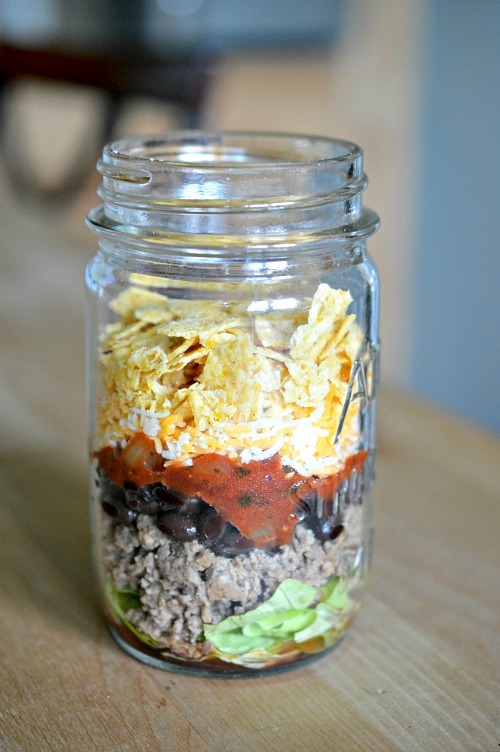 Follow Mason Jar Breakfast’s Mason Jar Lunches and Mason Jar Salads Pinterest boards.